Luxia No.7 Collagen Serum is an anti-aging serum formulation that commits to help you renew, repair and restore your skin’s health and overall youthful appearance. This product is exclusively available online and you may get hold of a bottle by signing up for a limited time free trial offer. Although There is no information available about this product’s makers. Luxia No.7 — Does It Really Work? There is neither an official manufacturer’s website nor an official product website from which information being circulated about this product can be validated, and the credibility of the manufacturer can be established as well. Most information available about this product, therefore, are offered by third party websites, including affiliate marketing websites. Promote a more even and brighter skin tone. 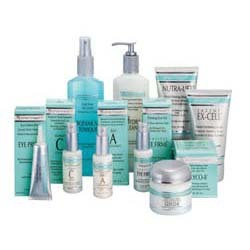 Repair damages on the skin matrix to help fade dark spots, fine lines, wrinkles, and other visible signs of skin aging. Enhance the firmness, tightness and plumpness of your skin. 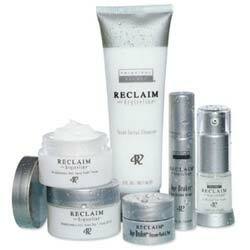 Improve your skin’s naturally healthy glow and radiance. Smoothen out your skin’s outer texture while visibly blotting out deep creases. What Are The Ingredients In Luxia No.7? Vitamin E: Renders powerful antioxidant protection that protects your skin cells from becoming degraded and aged too soon, it also functions to relieve and soothe skin from various forms of inflammation to halt progression to permanent skin damage and visible signs of skin aging. Although it may lead to skin rash. Luxia No.7 Collagen Serum must be applied generously over your face, neck and chest, day and night, for best results. Always use this product after a fresh cleansing and toning, and layered under your thicker day moisturizer and night creams. 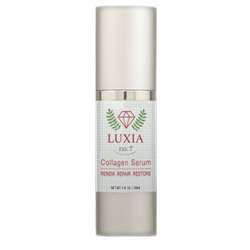 Luxia No.7 Collagen Serum is available via a limited time free trial offer. This product allows you to test your skin’s response to its formulation for a minimal fee to cover only the cost of product handling and shipment. The full product ingredients list is undisclosed, and there is no indication that this product’s formula might be more advanced or more innovative than inexpensive and easy-to-access drugstore brands. 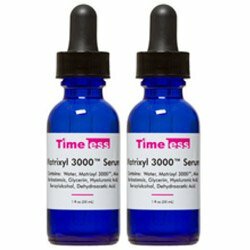 This product is being offered at a limited time free trial offer which gives you very little time to evaluate how your skin responds to this product and if the product is potent enough to deliver visible benefits to your skin at all. The manufacture is not a very well known skincare brand. The amounts of ingredients are not. Does Luxia No.7 Have Any Side Effects? In the absence of a complete list of ingredients and independent reviews, it is likely that you will experience side effects when using Luxia No.7 Collagen Serum. Luxia No.7 Collagen Serum seems like the ideal anti-aging product to road test because of the no risk, free trial offer but, there are too many loopholes and confusing statements on the Terms and Conditions. If you are not sure, don’t risk. Besides, this serum’s makers could make a more detailed explanation about what exactly it is you are getting for every bottle.